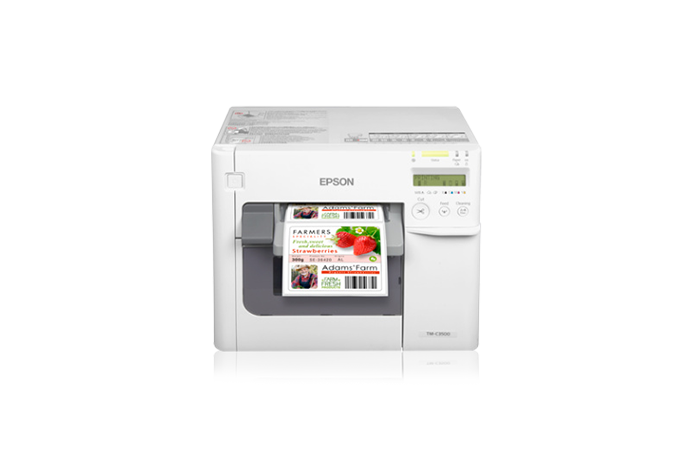 Design & print full colour labels and tags using the Epson Colourworks range of label printers. Ideal for retail product labels or any short run requirements. Print your own full colour labels on demand. With Epson's ColorWorks C3500 low cost label printer, you can dramatically reduce label costs, increase operational efficiencies and print high-quality, durable labels on demand in four colors (CMYK) at speeds of up to 4 inches/second. The C3500 is ideal for short print runs when colour printing is essential and provides a convenient alterntive solution to throwing away stocks of pre printed labels due to high MOQ's.